A baby pink color genuine topaz gemstone is the centerpiece of this unique and beautiful cushion-cut solitaire crafted in pure, solid 14k white gold. 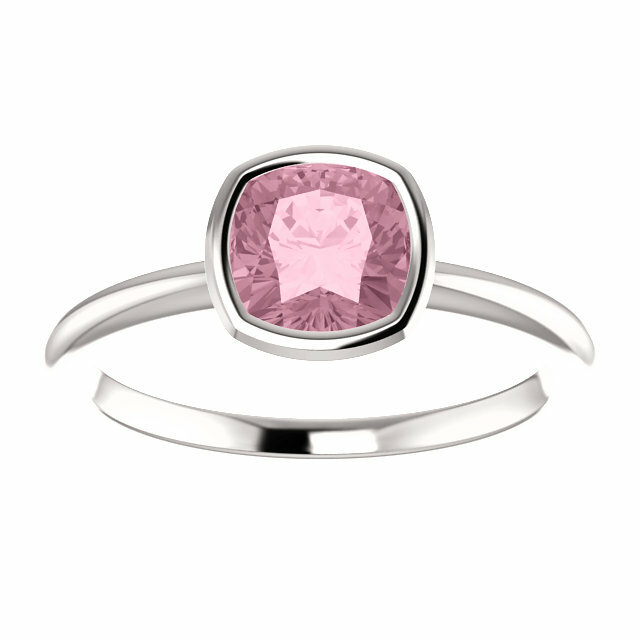 The light-pink topaz is an antique-square 6mm x 6mm gem from SWAROVSKI GEMSTONES, a leader in all varieties of stones made for fine jewelry. 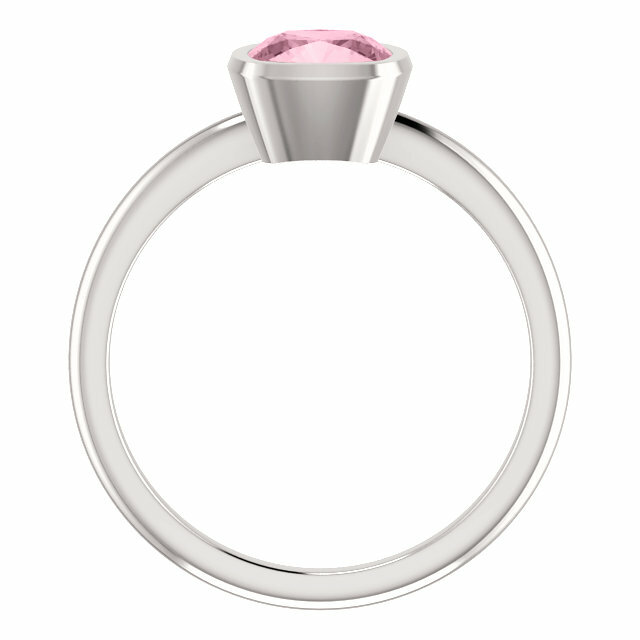 The ring is available in women's sizes 4.5 - 9 and is also available in sterling silver (displayed for you below). All materials used are real and guaranteed authentic, but please allow 7-10 business days before shipping since each gemstone ring in this style is individually made-to-order (and never mass-produced) for the utmost in high qaulity crafstmanship from Apples of Gold Jewelry. 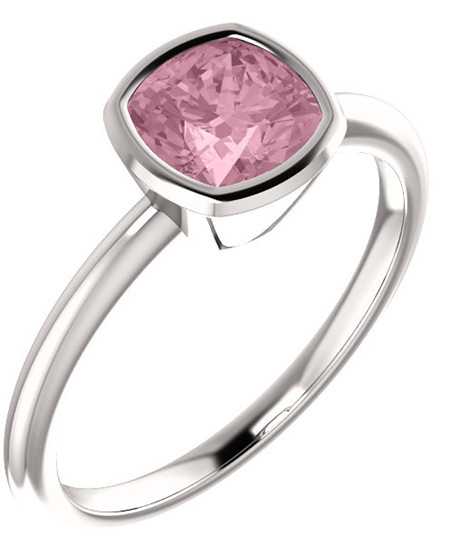 We guarantee our Baby Pink Topaz Cushion-Cut Ring in 14K White Gold to be high quality, authentic jewelry, as described above.